Buffer#slice() now uses Uint8Array#subarray() internally, increasing slice() performance (Karl Skomski) #2777.
fs.utimes() now properly converts numeric strings, NaN, and Infinity (Yazhong Liu) #2387.
fs.WriteStream now implements _writev, allowing for super-fast bulk writes (Ron Korving) #2167.
http: Fixed an issue with certain write() sizes causing errors when using http.request() (Fedor Indutny) #2824.
npm: Upgrade to version 2.14.3, see https://github.com/npm/npm/releases/tag/v2.14.3 for more details (Kat Marchán) #2822.
src: V8 cpu profiling no longer erroneously shows idle time (Oleksandr Chekhovskyi) #2324.
timers: #ref() and #unref() now return the timer they belong to (Sam Roberts) #2905.
v8: Lateral upgrade to 4.5.103.33 from 4.5.103.30, contains minor fixes (Ali Ijaz Sheikh) #2870. This fixes a previously known bug where some computed object shorthand properties did not work correctly (#2507). jbernardo writes: Microsoft has built a Linux distro, and is using it for their Azure data centers. From their blog post: “It is a cross-platform modular operating system for data center networking built on Linux.” Apparently, the existing SDN (Software Defined Network) implementations didn’t fit Microsoft’s plans for the ACS (Azure Cloud Switch), so they decided to roll their own infrastructure. No explanation why they settled on Linux, though — could it be that there is no Windows variant that would fit the bill? In other news, Lucifer has been heard complaining of the sudden cold. Microsoft’s decision to build a Linux-based OS for the datacenter is further proof of its pragmatic acceptance of open source software. Tor Browser is the official internet browser tool of the Tor Network project. This software is aimed at serving users who want to browse in full anonymity, preventing surveillance of any kind. This is achieved by bouncing your communications around a distributed network or relays, making eavesdropping very difficult, if not practically impossible. 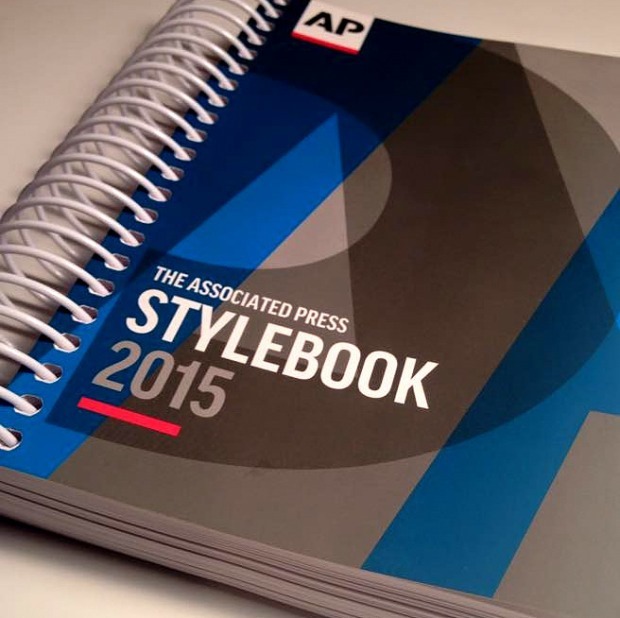 For just $9.99 on Kindle, or presumably other digital platforms, you can now own a fully “interactive e-book” edition of the 2015 AP Stylebook. While the article isn’t clear on exactly what makes the e-book “interactive” and whether it is any more so than a regular e-book, even having it as a regular e-book means that it can now be text-searched. And at least a digital version will be more manageable than that annoying spiral binding. Sadly, you’ll have to re-buy the book once it hits its 2016 edition, as it gets updated every year. But $10 for such a resource isn’t bad. Last year’s historic plunge in bar exam passage rates may not be an aberration but the start of a more serious trend, according to new data.